Michón shared on a wide range of personal topics with me; we talked about hir projects in the Metanoiac portal, Cuil Press and the importance of media representation, as well as the imagination and how it ties into trauma. Michón is a Public Speaker and Accountability Counselor at Postmodern Woman, Sensitivity Editor and Founder at Cuil Press, and Trauma-informed Domme, Builder of Communities of Care and Educator at The Metanoiac Portal. You can follow Michón via hir website or listen to hir podcast. 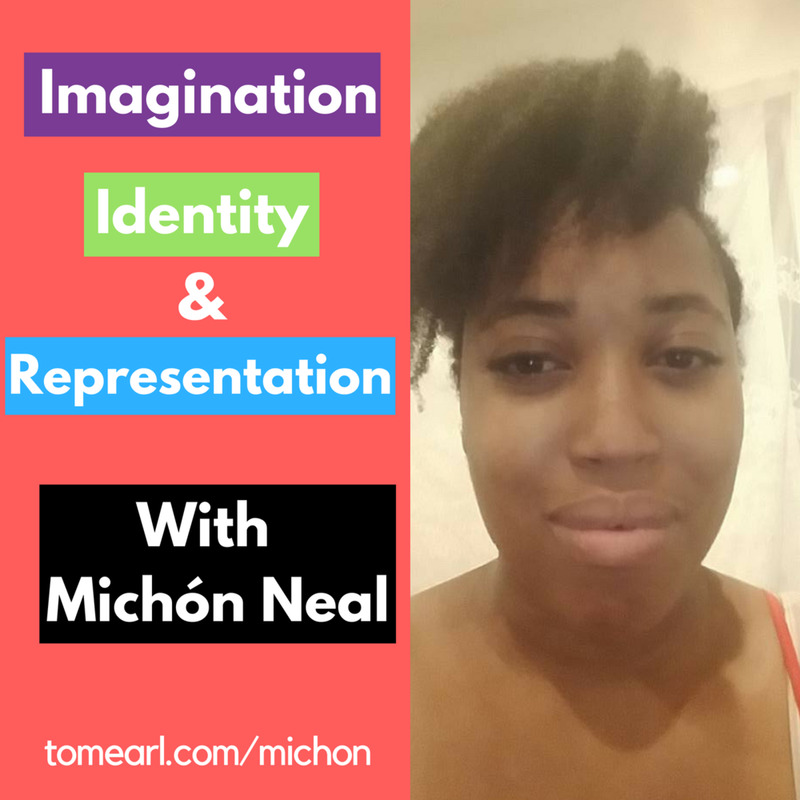 Listen to "Imagination, Identity and Representation with Michón Neal" on Spreaker. Cielo Oscuro aka Kiki from Kiki and the Mxfits is a non binary trans femme based in South Central Los Angeles. Cielo’s focus on style means that she’s been able to shine a spotlight on QTPOC from different social and economic backgrounds, and created a more inclusive space in mainstream fashion. Cielo’s short film about being Trans in High School - Kiki and the Mxfits - went viral, and re-ignited some much needed conversations about making High School safe for Trans youth. In this week’s episode, we talk about her own experiences as a Latinx Trans youth, fashion, creativity, representation and the importance of QTPOC being visible in society. You can follow Cielo on Instagram and also help with their transition here too. Listen to "Fashion, Creativity and Trans Representation with Cielo Oscuro" on Spreaker. In this week’s episode we have a deep and spiritual conversation about yoga, connectivity, community, misconceptions and being your better self. Settle into a comfortable position of strength as you enjoy this week’s episode of THE Celebration. Listen to "Know Thyself with Yogini Koi Core" on Spreaker.